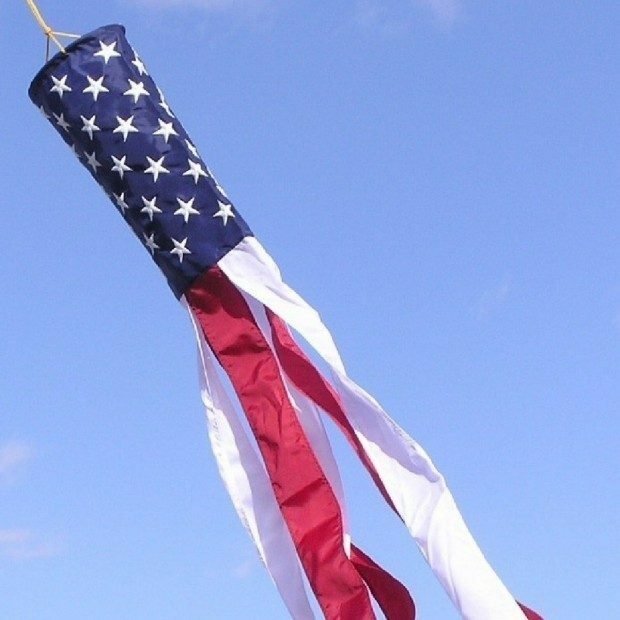 60-inch American flag windsock with six long flowing tails. Most popular size. Great for home decorating, outdoor advertisements, sports events, promotions, festival celebrations, and more. Includes a brass, swivel hanging clip (no need to purchase separately) — ready to hang upon arrival.